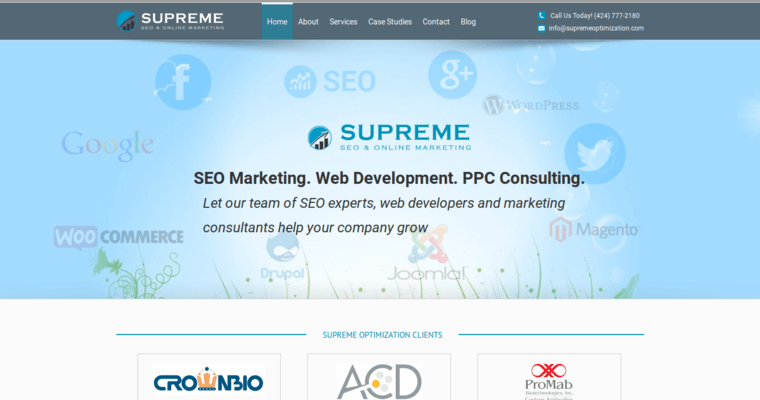 Medical SEO firm, Supreme Optimization, works with life science and pharmaceutical brands to help them gain more organic leads from revenue-driving keyword and image searches. The firm claims client's see an average of a 243 percent improvement in search traffic after using their services. 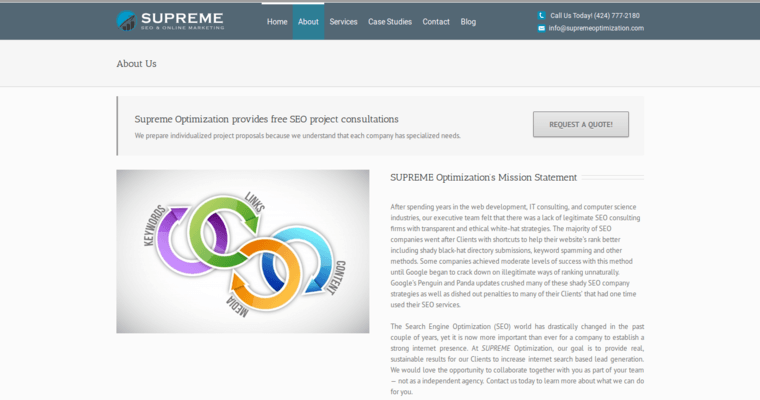 Supreme Optimization begins the SEO process with a site audit and keyword research. They perform on-site optimization and fix any issues keeping the site from being accessible to everyone. They also work on building links and checking the health of current backlinks. 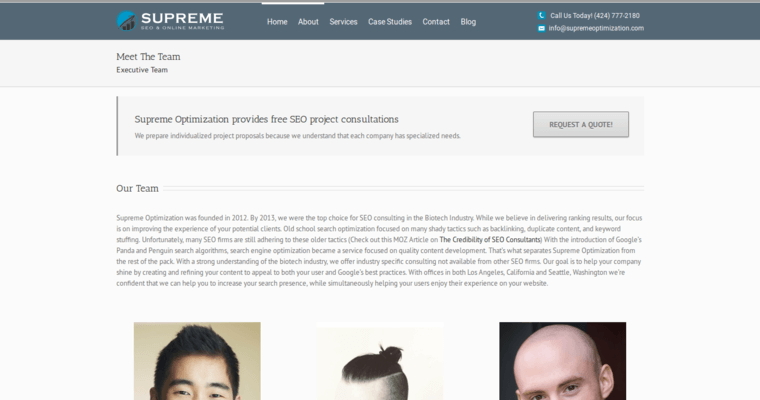 Supreme Optimization excels at international SEO; they are able to get their client's site in from of the desired audience, wherever they may be.